Arid and semi-arid areas of the world are particularly prone to famine and diminished livelihoods due to cyclical drought, erratic weather patterns, a large variety of crop pests, declining soil fertility and deforestation. As shown in this video on the right, these regions can greatly benefit from the introduction of certain Australian Acacia species. Unlike African Acacias, Australian Acacias produce edible seeds. 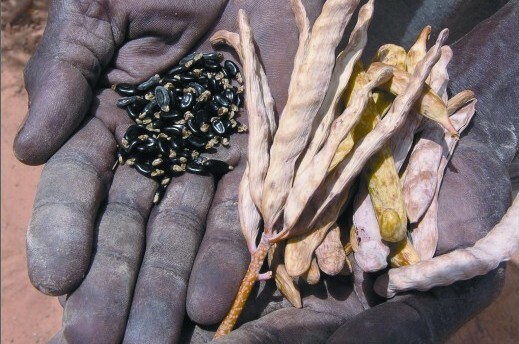 Australian Aboriginal people have used seeds from Acacia colei trees as a food source for thousands of years, and some Aboriginal communities in rural areas of north-west Australia continue to do so today. Aside from providing a source of food, the fast-growing Australian Acacias contribute positively to the agricultural system. They tolerate drought and sandy soils, reduce soil erosion and increase soil fertility. They also produce livestock feed, nectar for bee fodder, wood, building material and leaf material for mulching. We bring together researchers, vulnerable communities, agriculture experts and local food sellers to establish systems for incorporating Acacia into local diets, farming systems and economies in Africa. This helps communities to fight child malnutrition, improve livelihoods, adapt to climate change and build agricultural and drought resilience. 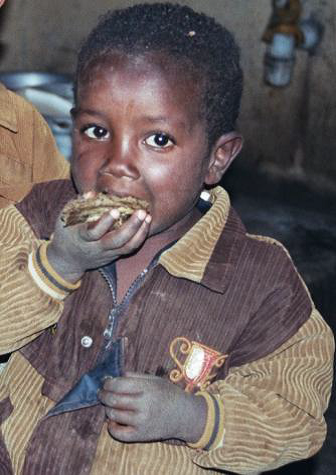 We are working on a long-term project with The University of Melbourne to test the safety of children eating Acacia. In addition, we work with national governments in Africa to conduct safety testing and promote Acacia. Niger now officially recognises Acacia as a food. Acacia harvest occurs in the middle of the dry season, when family labour is available and people have the greatest need for food and income. Australian Acacia seeds are too hard for weevils to penetrate, so they can remain in storage for 10 years or more without chemical preservatives. After removal from storage, grinding Acacia into flour and incorporating it into common recipes produces nutritious and delicious food. In Niger, for instance, people add Acacia to cuscus, bread, donuts and kunu (a millet porridge that children eat in the morning).